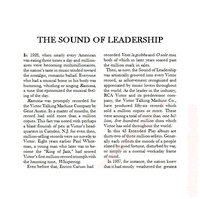 Insert: A four-page brochure folded in half. 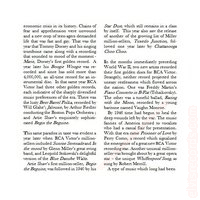 Almost perfect mockup of the original as demonstrated here Record Mockups. The story behind this portable player is the following as it was provided on eBay3. 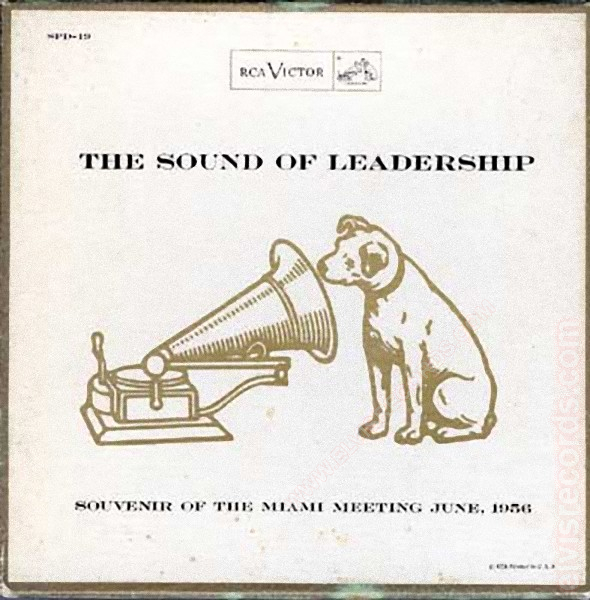 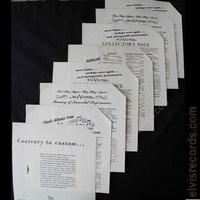 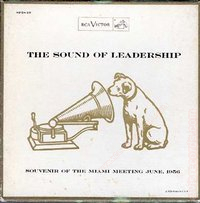 Elvis Presley (and others) - The Sound Of Leadership: Souvenir Of The Miami Meeting June, 1956 - RCA Victor SPD-19 ... eight (8) 7-inch 4-song EP's limited promotional-only souvenir boxed set from 1956 with ... boxed RCA plastic "Victrola" PHONOGRAPH kit for assembly and hand play, with rare 78-rpm 7-inch record entitled "A New Sensation In Sales" (RCA GS-NS-5403). 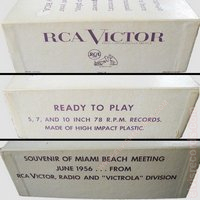 This historic recording discusses how this portable, light, hand-played Victrola phonograph [that] was designed to be donated to the State Department to be sent to poor "communist" countries so that they could assemble them in secret and experience and share western media! 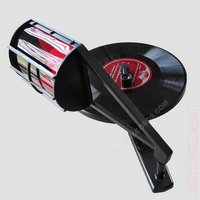 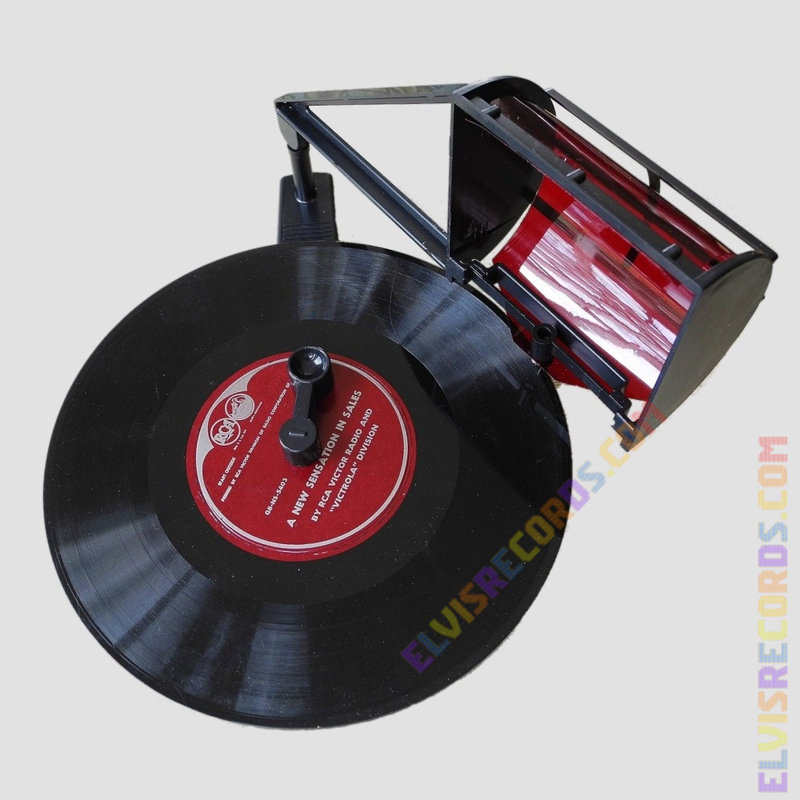 It is made of hard black plastic with a clear red translucent plastic sound diaphragm and a finger crank to be played by hand... [T]he phonograph is one of the rarest collectible Victor machines, as they were never made available commercially and the State Department did not follow up on the offer. 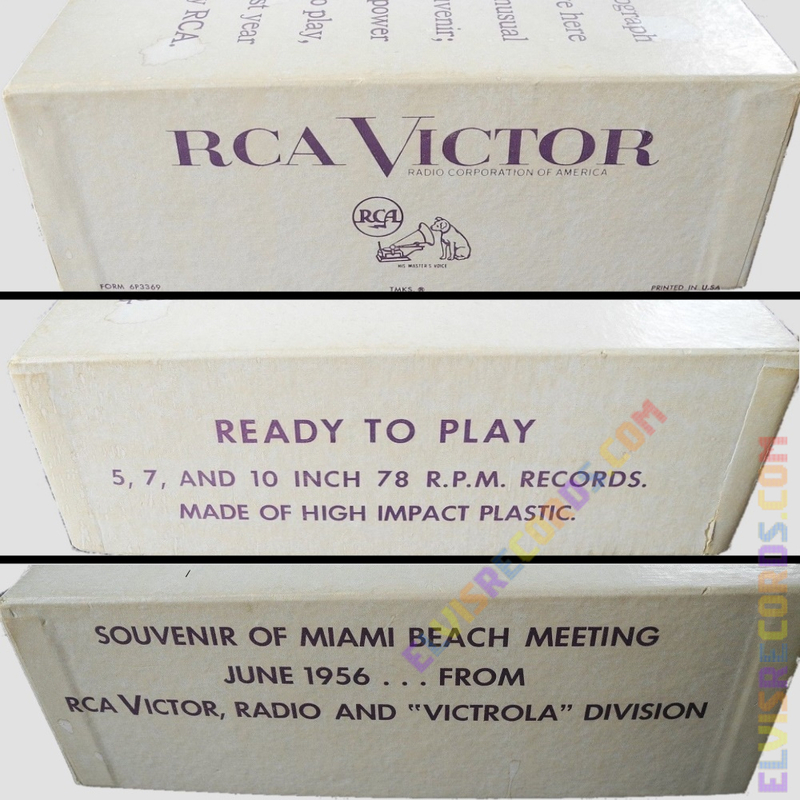 These promotional packages were prepared as souvenirs for company distributors attending the June 1956 Miami meeting (RCA sales convention). 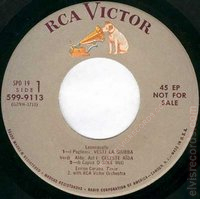 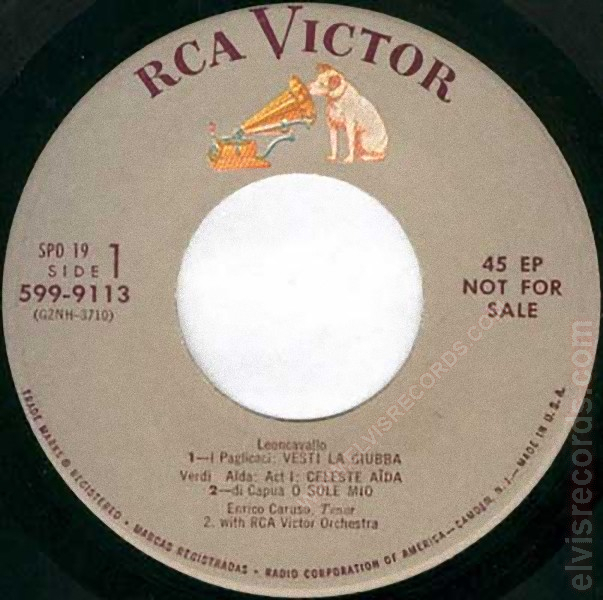 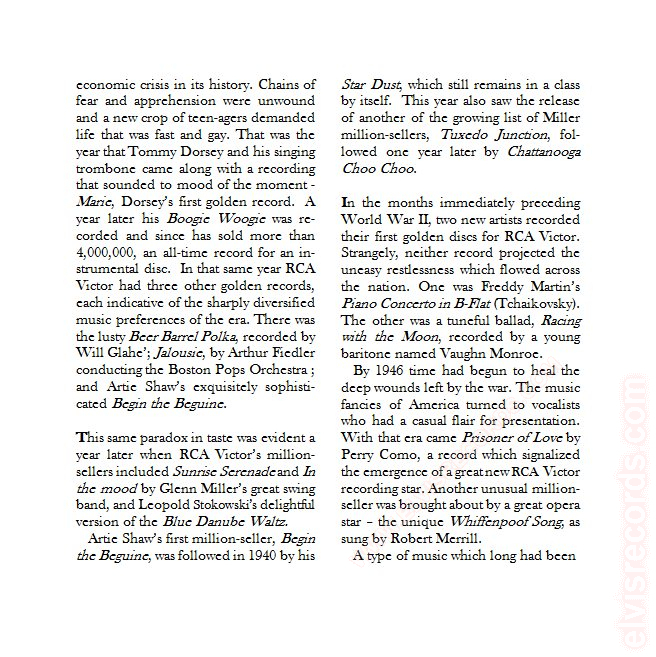 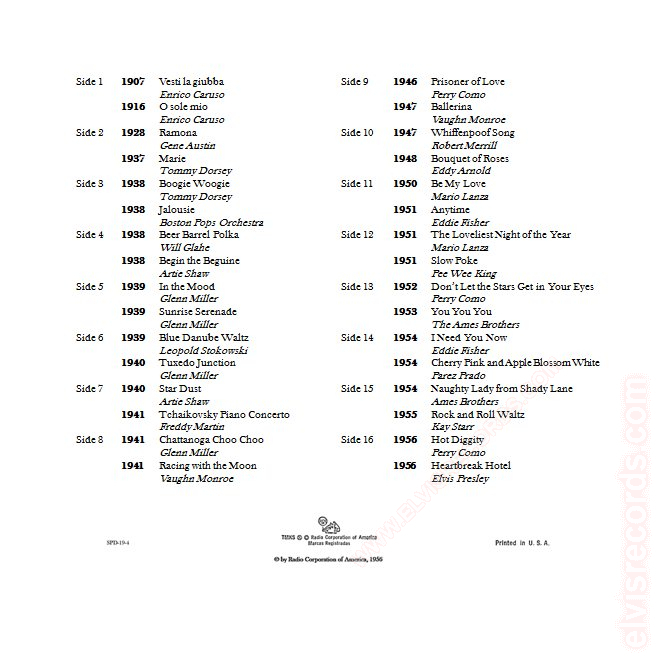 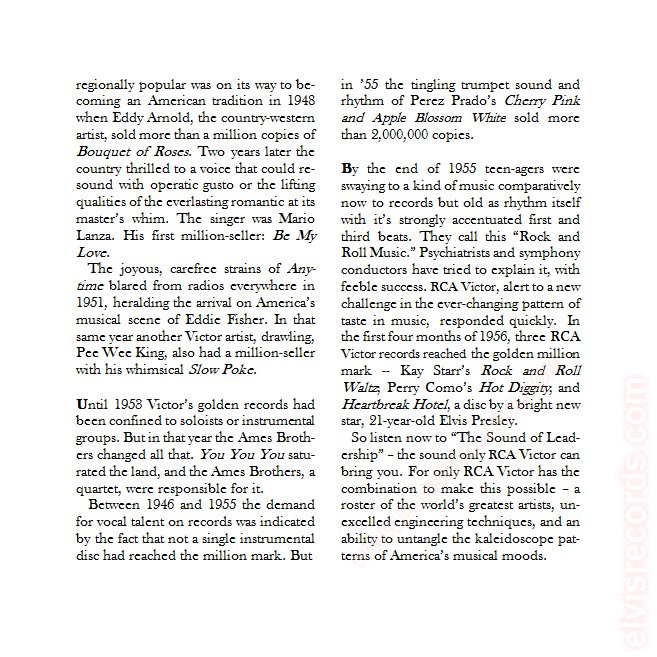 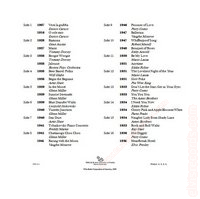 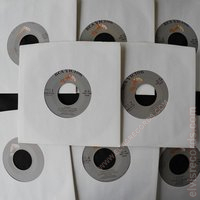 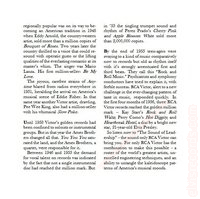 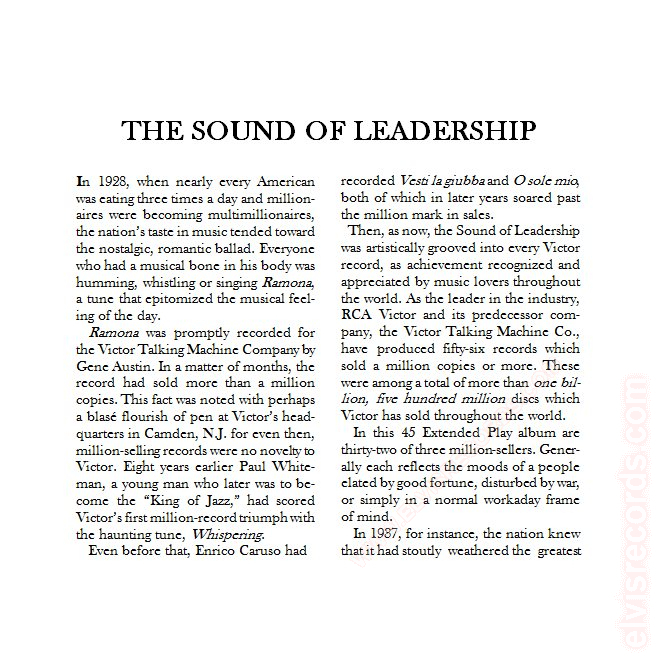 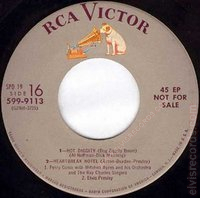 The records contain the 32 top selling RCA songs for the previous 50 years (1906 - 1956). 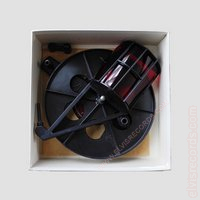 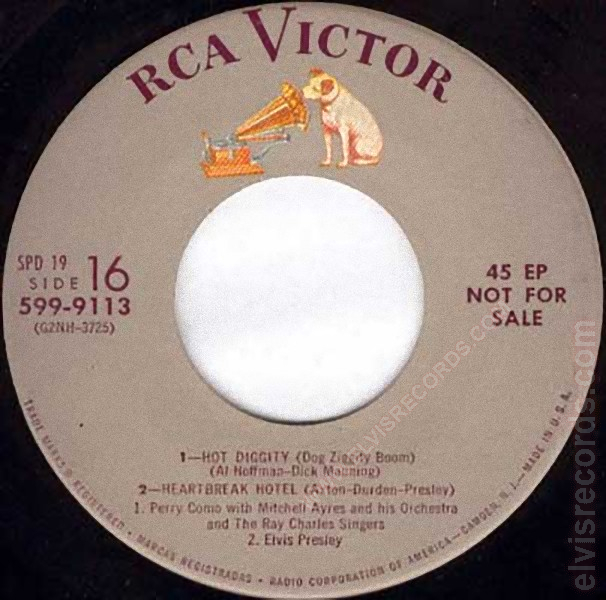 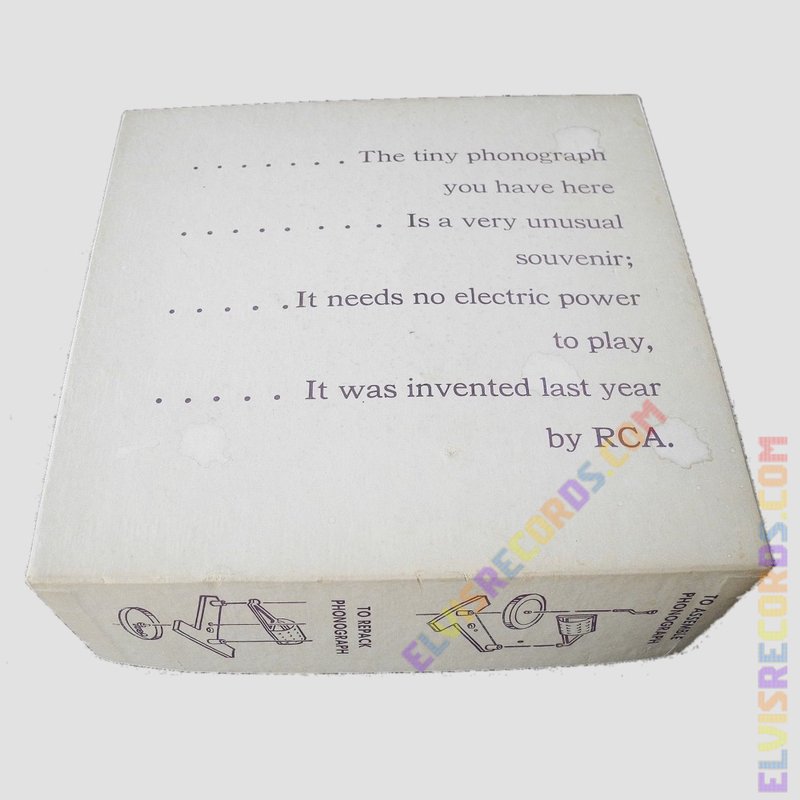 The records were originally un-sleeved with RCA advertisement paper separators which are included [(the white sleeves were added for protection)] It is estimated that approximately 75 sets of the EP box were distributed at the convention, and about ten (10) of the tiny assemble-able phonograph kits at a side-meeting for new RCA products. 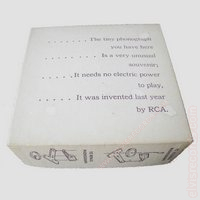 Only about a dozen of the RCA SPD-19 box sets have surfaced over the last several years and we've NEVER seen the special phonograph for sale anywhere. This complete package, phonograph, demonstration record, box set with inserts and records in very impressive condition sold on eBay on April 19, 2014 for just over $600.